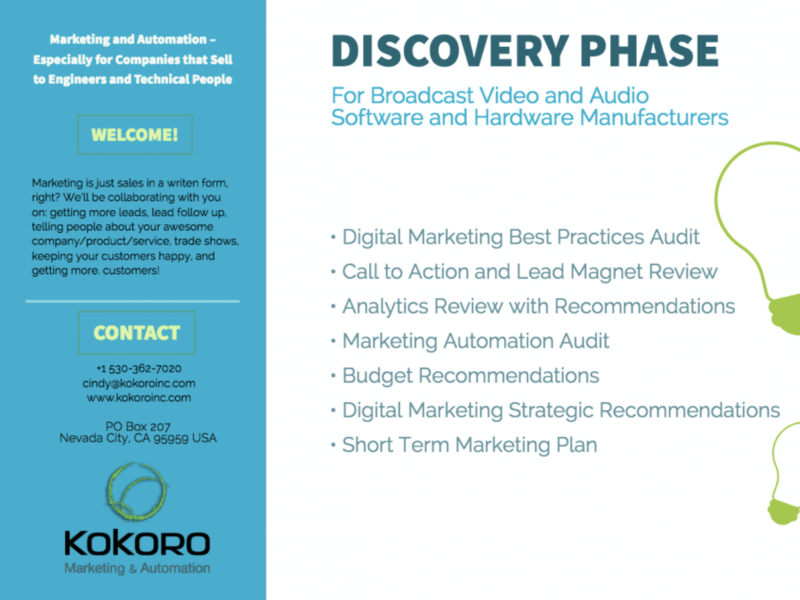 Get started working with us by signing up for the Kokoro Discovery Phase. We’ll audit your current digital marketing and come back to you with a short-term marketing plan you can put to work immediately. You can take the plan and do it yourself or you can hire us for on-going marketing services or for a project. Click here to sign up now. Let’s start! Are you responsible for sales and marketing at a high tech company? Copyright © 2019 Kokoro Marketing, Inc. Need to do a webinar?